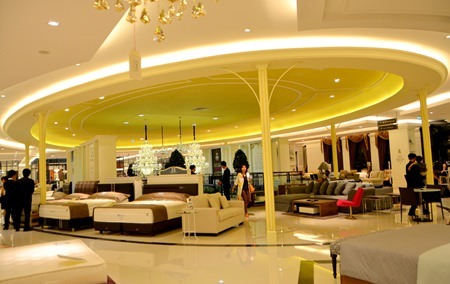 With an investment of over 400 million baht, Pattaya’s new Chic Republic home furniture store officially opened its doors to the public on Feb. 27. 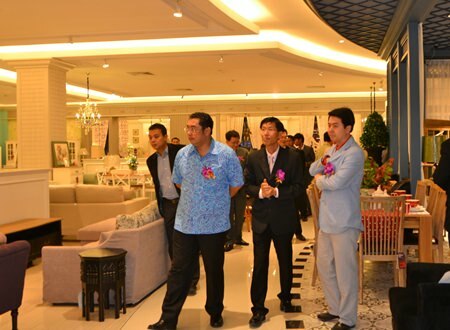 Pattaya City mayor Ittipol Khunplume was the invited guest of honour for the ribbon cutting ceremony and he was joined at the event by a host of local business managers, city councilors and residents of Pattaya along with a large gathering of media. 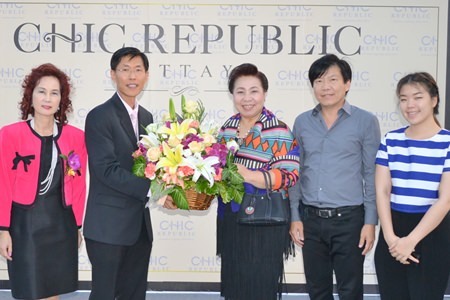 Invited dignitaries cut the ribbon to open Pattaya’s first Chic Republic store. 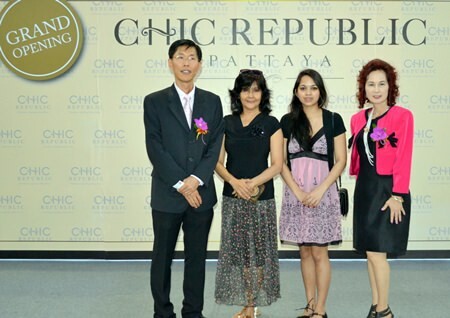 Aside from the party, with food and live entertainment for those in attendance, Kijja Pattamattayasonthi, the CEO of the Chic Rebublic also took the opportunity to think about those less privileged in the Pattaya area and pledged 100,000 baht each to the Garunyawet Home for the Disabled and the Father Ray Foundation. 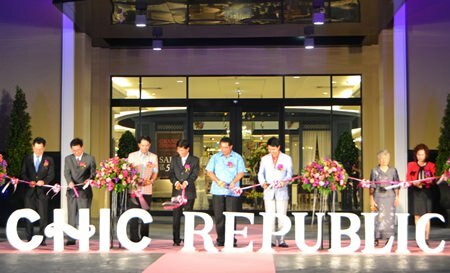 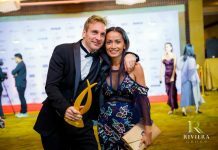 The Pattaya store is Chic Republic’s fourth outlet in Thailand and marks the brand’s first appearance on the Eastern Seaboard. 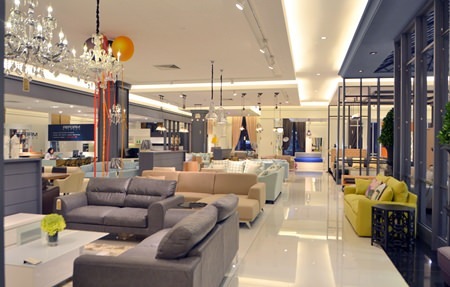 The home fashion outlet located on Sukhumvit Road provides a spacious and stylish shopping experience and features the most modern home furnishing products along with Thai traditional designs. 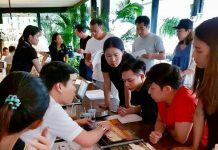 (L to R) Boontak Wangchareon, CEO of TMB; Ittipol Khunplume, Mayor of Pattaya; Kijja Pattamattayasonthi, CEO of the Chic Republic Co.; Sontaya Khunplume, Ministry of Culture Thailand; Rath Panitpan, CEO of the Land and House Bank; Kamolthip Paksuwan, Secretary of the Chic Republic Co.; and Poramet Ngampichet, former MP of the Pak Phalangchon Party attend the official opening ceremony held Feb. 27. 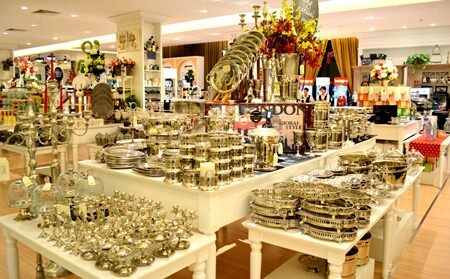 Chic Republic carries everything you could need to stylishly furnish your home. 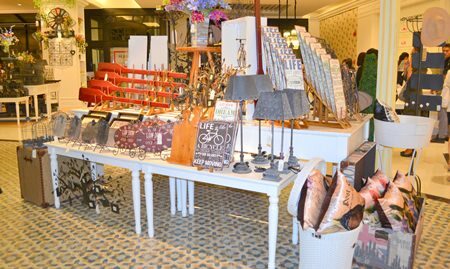 As a special bonus to Pattaya shoppers and to celebrate its new opening, Chic Republic is currently offering 20%-50% discount on many of its home furnishing products. 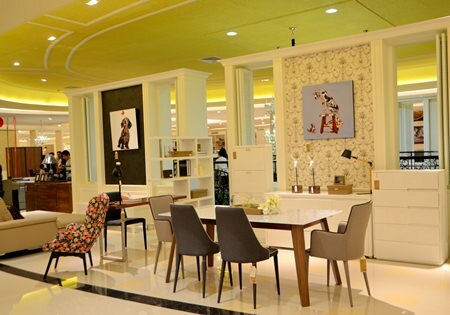 A special interior 3D program design services is also available free of charge to spark home décor ideas for customers. 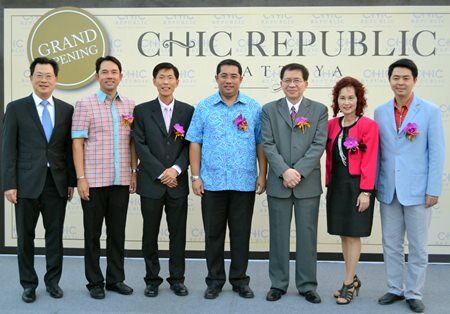 The Chic Republic outlet in Pattaya occupies 10,000sqm and comes with plenty of parking space. 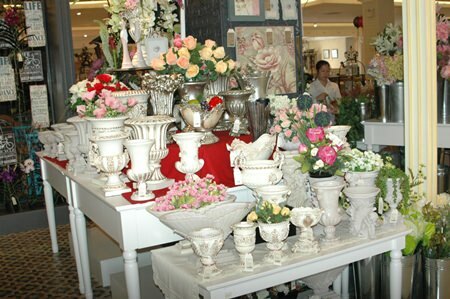 The store is located just off Sukumvit Rd. 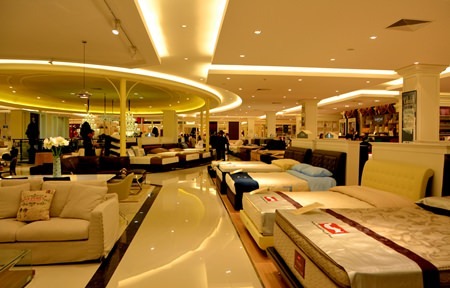 in south Pattaya (opposite Big C South Pattaya). 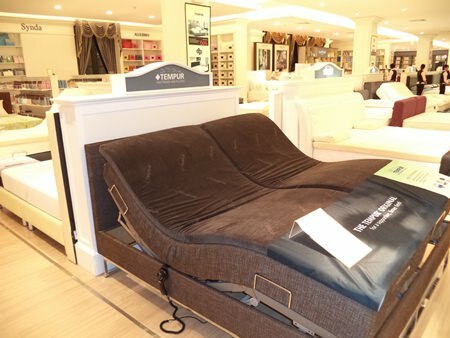 For more information, call 02-514-7111/12, 081-628-8686 or visit the webpage at www.chicrepublicthai.com.